While building the Direct conversion receiver and the BITX Transceiver I needed Band pass filters or BPFs for multiple bands. I found this easy to build design somewhere on the internet. A lot of learning on this is also shared by VU2ASH who is my elmer. It has L and C values listed for almost all of the Amateur bands on HF and VHF. Also, it uses common Slug tuned 10.7Mhz TOKO type IFTs for windings (L). You can either use 2 IFTs or 3 IFTs depending on how sharp you want your filter to be. 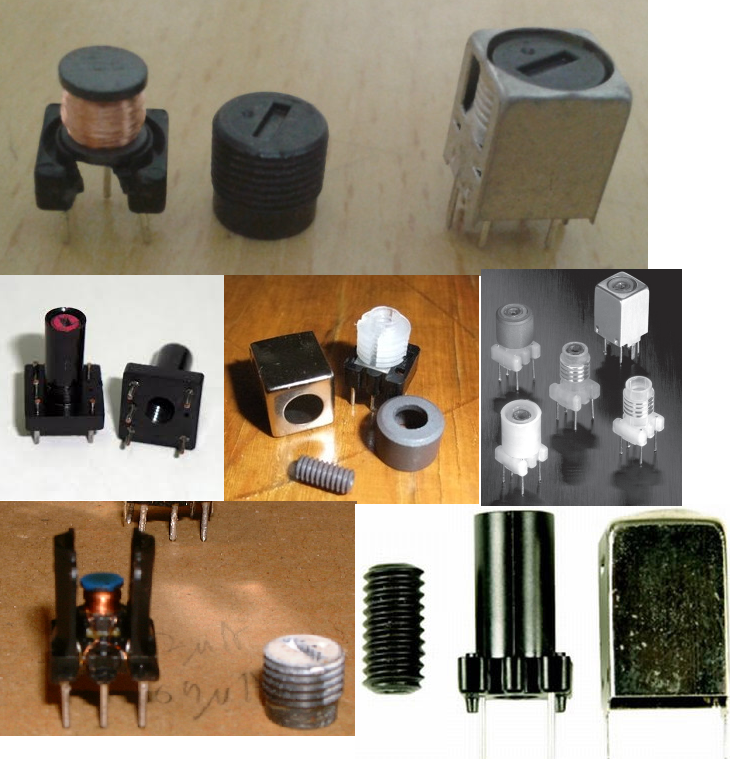 Capacitance is fixed and inductance is variable. Here are the values of L and C and the circuit diagram for building the filter. If you are not using original TOKO made IFT then number of turns may vary a little, by may be 1 or 2 turns to get desired Inductance. Set the turns such that the desired Inductance is achieved when the slug is set at the middle of the IFT, so as to get a tuning range to mach your desired frequencies. 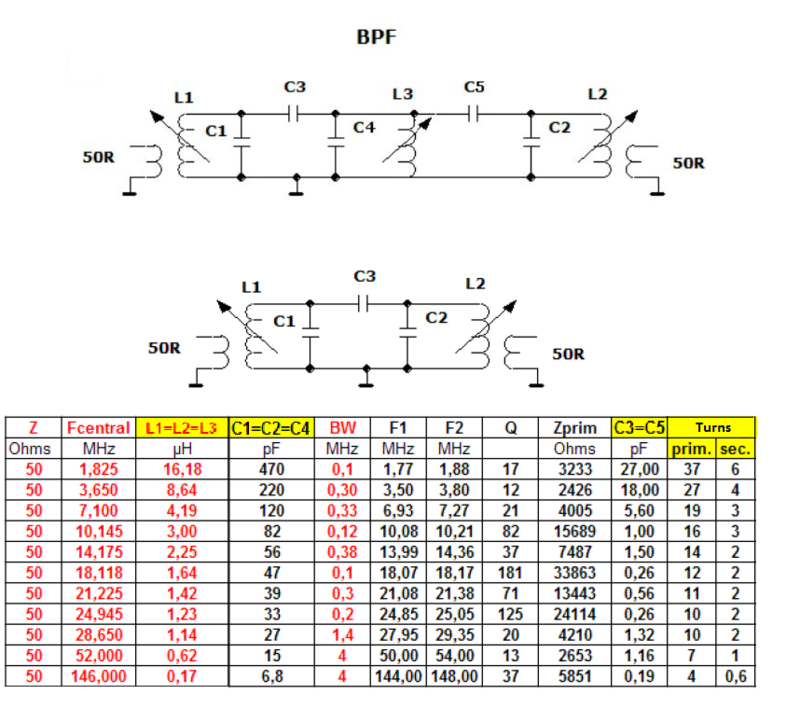 C3 and C5 sets the Bandwidth of the Filter. Sharpness of the Filter skirts depends upon the Q on the filter. 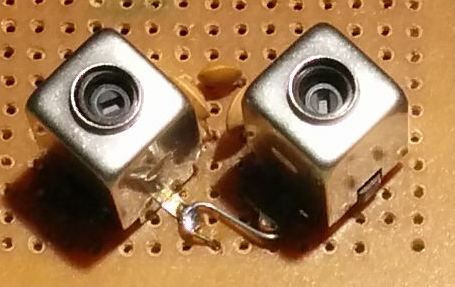 This is in turn depends on the values of the L and C. To get a sharper filter (with narrow pass band) increase the inductance L and lower the Capacitance C (i.e. L1,2,3 and C1,2,4). Easy way to set the correct bandwidth of this filter is to pass a VFO signal (I use a DDS) through the filter and measure the output using an RF Probe on a multi-meter in mV range. Tune and set the L1 slug for lower frequency (F1) and highest mV output and L2 for Higher frequency (F2) and Highest mV output as per the values in table above. I intend to combine multiple of these filters to use with the BITX making it a multiband transceiver switching them using an Arduino based DDS VFO. Let me know how you made and used these filters and if any improvements or issues you wish to report in the comments section below. Nice article. I m also trying to do some homebrew construction on rf. So far its in my head only and nothing on the table. Photographs are not opening up. Can you plz upload them again ? Sure Ashok. I will check and fix the issue.